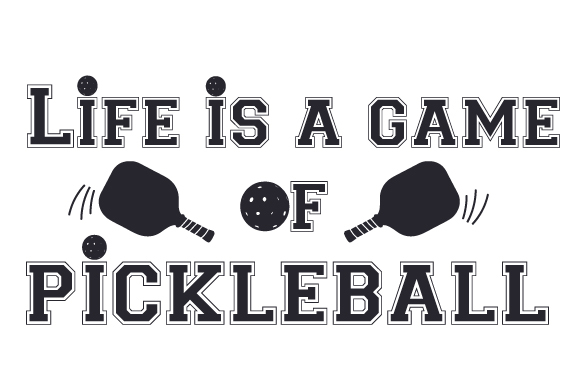 Are you ready to have the time of your life with a trending sport called Pickleball? 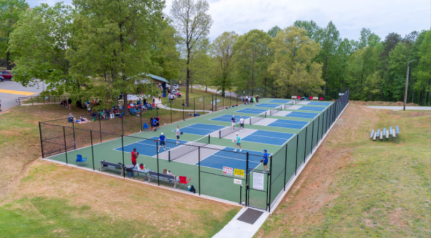 Georgia Pickleball is here to help you every step of the way by providing you with up to date information on events, training, and any relevant information related to Pickleball. Please feel free to reach out to us, as Georgia Pickleball is here for you on your Pickleball journey. 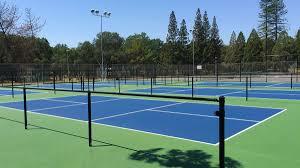 NEW at the MJCCA this spring, classes will be conducted by a certified pickleball instructor. Good for both beginners or players looking to improve their skills on the court. Players will learn rules, court layout, serving and scoring, strokes, and basic strategy. Players will work on their soft game, blocking shots, non-volley line and zone, team play, and elimination of unforced errors. Players will work on drills, 3rd ball drop, options on serving, game strategy, and competitive play. Proceeds from this tourney will benefit United Way of White County. place winners in all event brackets. The court used for Pickleball is similar to a doubles badminton court. The court’s size is 20x44 feet for both singles and doubles. The net that is used is hung up at 36 inches on the ends, and 34 inches at the center. The court is striped like a tennis court, with no alleys; but the outer courts, and not the inner courts, are divided in half by service lines. The inner courts are non-volley zones and extend 7 feet from the net on either side. 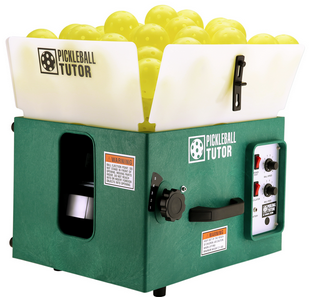 The following equipment is needed when playing: Players, Pickleball paddle, net, and a pickleball. 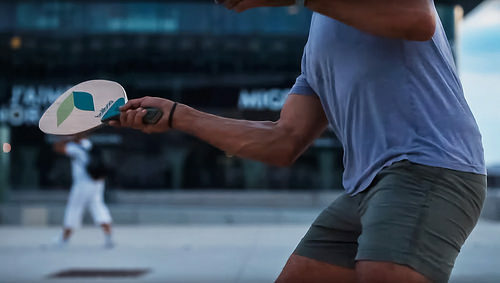 A pickleball has holes through it like a whiffle ball, that comes in a variety of colors, but must be a single color to meet International Federation of Pickleball specifications. Pickleball can be played inside or outside depending on the different models of the balls. The sport of Pickleball is played either as singles or doubles (two players per team); the most common played is doubles. The playing area and rules apply for both singles and doubles. 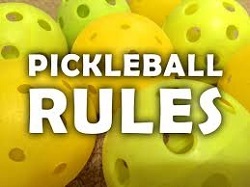 In order to succeed at Pickleball it is important to learn the rules and the court so you can strive for excellence while playing your favorite sport of Pickleball. Are You In Need Of A Tournament Partner? During the summer of 1965 on Bainbridge, Pickleball was invented by Joel Pritchard, Bill Bell, and Barney McCallum. 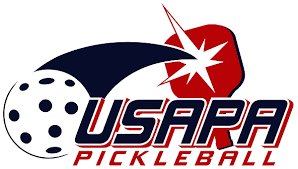 Are you wondering how the name Pickleball was thought of? The name derives from the term “pickle boat”, referring to the last boat to return with its catch. Also the Pritchard’s owned a dog by the name of Pickle who would run and chase a ball so they came up with the clever combination, Pickleball, for this trending sport that is being played in the states and Canada. Pickleball is considered a paddle sport that is a combination of tennis, badminton, and table tennis. This sport is played by two or four players in which they use a solid paddle to hit a perforated polymer ball. Pickleball is fun for all ages, and levels. 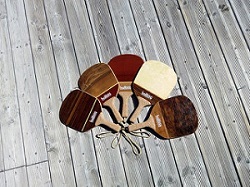 So why not pick up that paddle, have some fun, and give it a try today!! Improve Your Game And Skill Level! Please feel free to reach out to us if you have any questions about Pickleball, events, and private lessons. Georgia Pickleball is now a Dealer for Pickleball Central. Great prices, and a huge assortment of pickleball merchandise. Contact Walter Putnam at 770-476-0211 for the best prices on the Internet. Contact Walter Putnam at 476-0211 to order for the best prices on he internet. 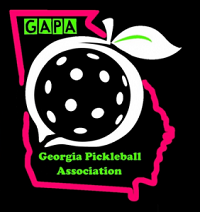 Georgiapickleball.com now offers pickleball lessons, and new player clinics conducted by Walter Putnam, a “Certified Pickleball Instructor” (CPI) certified by the International Pickleball Teaching Professional Association. See details at "Training" on the main menu and select Lessons.